id like to hear other opions of hunters on the wolf situation in idaho. mine is the only good wolf is a dead one. ther are no elk and moose in some areas that was once rich in animals. the northfork of the clearwater and the salmon river out of riggins idaho as an elk hunter in these areas its sad to see. so speeakup and let hear your story of wolfs in your hunting area . One of the worst things that has been done by our game department was reintroducing them here in the state. 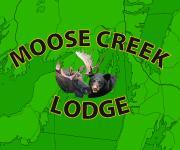 I had a moose permit last year and spent 15 days trying to find a moose, only saw a cow and calf. Not a songle bull. I was in unit 15 up Crooked river. Just a bad idea all together. I have several pictures of wolves on my trail cams in the Clearwater area of Idaho. More wolves than Bulls.... not a good sign. Hope to thin them down by one with a wolf tag. I hope you help the state reach their goal of 225 wolves taken this year.